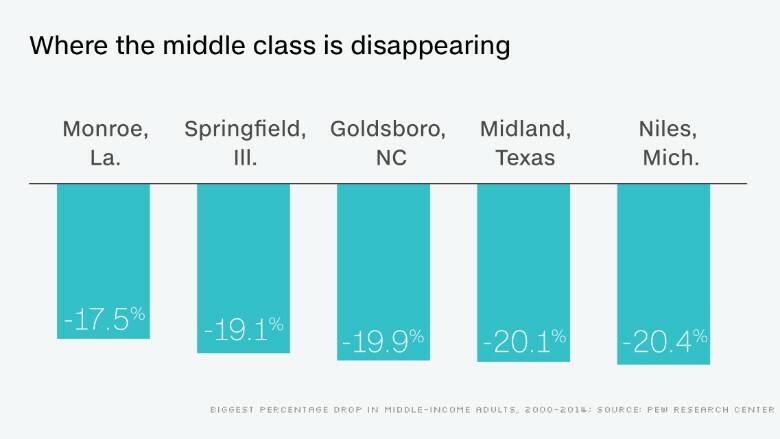 America's once-mighty middle class is shrinking all around the nation. The share of middle-income households declined in 90% of the country's 229 metro areas between 2000 and 2014, according to a new report by the Pew Research Center, released Wednesday. The middle class contraction is also happening on a national scale. Overall, some 51% of Americans lived in middle class households in 2014, down from 55% in 2000. But national statistics can sometimes obscure what's going on at a local level. For instance, the housing crash in the late 2000s hit certain places much harder than others. When it comes to the middle class, however, the trend holds true in almost every metro area. "The middle class is losing ground in communities all across the country," said Rakesh Kochhar, associate director for research at Pew. "In the North. In the South. In areas large and small." There's no one reason why the middle class is shrinking, Kochhar said. One of the main causes? Rising income inequality, driven by factors including globalization, the decline of unions, the outsourcing of jobs and advancements in technology. 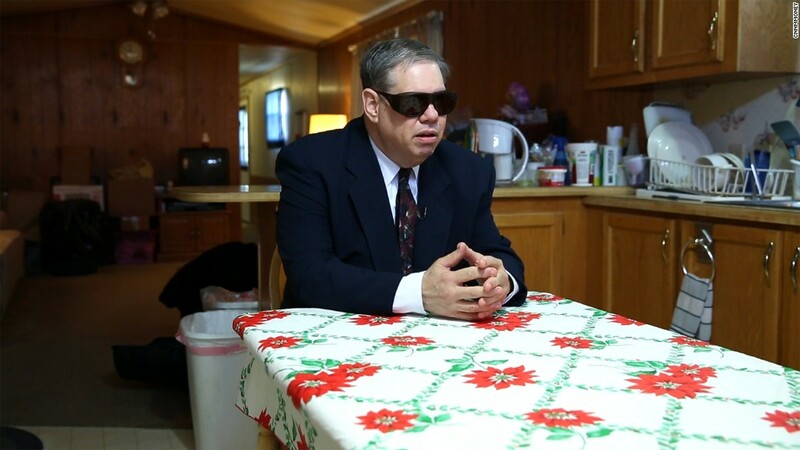 They are also seeing their incomes shrivel. 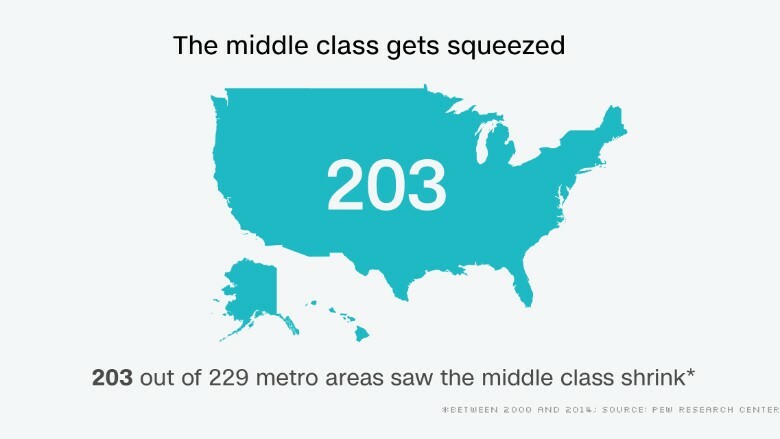 Pew defines the middle class as those having incomes ranging from two-thirds to double the national median, based on household size. Nationally, the middle class had a median income of $72,919 for a three-person family in 2014, down from $77,898 in 1999. But income varies widely based on where one lives. The middle class in Racine, Wisc., enjoys the highest median income, at $81,283. At the other end of the scale is Hanford, Calif., at $64,549. The middle class' median income fell in all but 39 metro areas between 1999 and 2014. The middle class in Springfield, Ohio, suffered the largest decline, plunging from $73,895 in 1999 to $53,957 in 2014. The news, however, isn't all bad. Shrinkage in the middle doesn't mean everyone is falling to the bottom. In fact, in 172 metro areas, the share of upper income households increased, meaning that those in the middle climbed the economic ladder. Midland, Texas, which benefited from the energy boom, enjoys the largest share of upper income residents, with 37%. Midland and neighboring Odessa, Texas, also experienced the largest gain in economic status. Other areas with sizable wealthier communities are mainly in the Northeast or California. The share of lower income households increased in 160 metro areas. In Laredo, Texas, some 47% of residents are lower income, the largest share nationwide. Many of these poorer communities are in the Southwest and California, though Springfield, Ohio, and Goldsboro, N.C., suffered the biggest drop in status. Despite the declines, the middle class dominates certain areas of the country, particularly where manufacturing is a big part of the local economy. 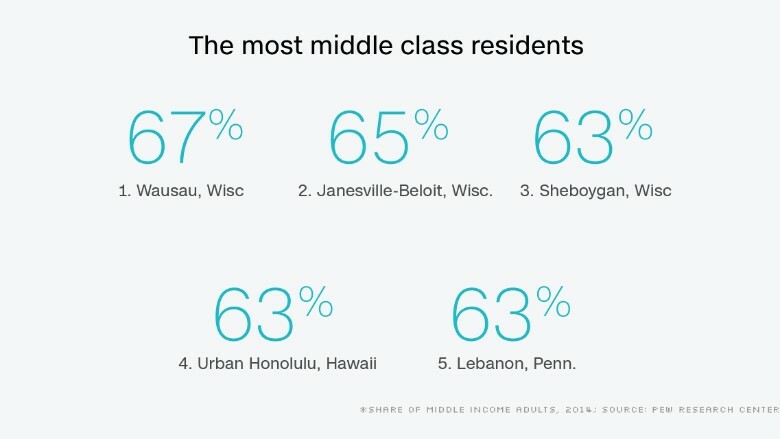 Most of the largest middle class communities are in the Midwest, particularly in Wisconsin. How long these Midwestern communities retain these strong middle classes remains to be seen, however. Many of them have seen their manufacturing sectors -- which tend to pay better -- retrench in recent years.